I'm thankful for bargains. Haha! Discounts are devine and I look for them for pretty much anything from groceries and house hold items to clothing and baby products. Reegan and I went to the Foothills Fall book sale today and I'm so excited about some of my $1 finds! 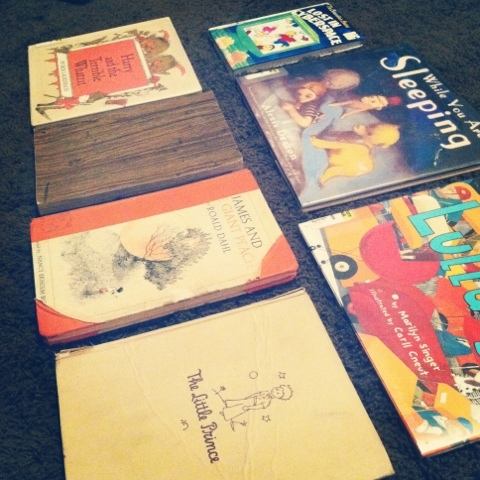 I hope Reegan shares my love of books and they will be something she cherishes and remembers her whole life!